The max spool up is 150%, which is 2.5x the damage total, not 1.5x total. It’s a bonus of 150% of the original value. Your original 397 DPS will be 992.5 DPS at max spool, so PYFA is right. I knew I was missing something. Thank you very much for the explanation and pointing this out to me. I really appreaciate it. p.s. : works fine with other ships. I’ve got a bit of an odd issue. I have one character that refuses to update. The other characters on this account update just fine, but not this one. This has been a persistent issue across multiple versions of PYFA, so something is definitely wonky with ESI or how it is pulling the data. I’ve revoked app access from the EVE Help Center. I’ve done all of the above in different combinations and orders and still no love. The odd thing is that I get the “Successfully Fetched Skills” message when using either the Update API button in the mail window or the Fetch Skills button in the Character Window and have never seen an error, but the skills do not update. I’ve got a bit of an odd issue. I have one character that refuses to update. OK, weird- I just logged in, moved around one skill in my training queue on a lark, went back to PYFA and clicked the Update API button, and everything updated properly for that character. I’ll leave this here in case anybody else runs into this. Can you add icons for Concord ships in the next release? I guess adding a specific file like instructions/ubuntu.txt and linking this file in the readme.md should be the correct approach. Some implants & Boosters don’t seem to have any effect on fitting stats (e.g. SP-60x or MP-80x don’t increase damage output of small/medium projectile turrets). The Skill list in the Character Editor doesn’t show the skill names, just levels. Since EFT is dead, there is no other and of course no better fitting-assistant. Thank you very much for your time and efforts invested to keep this tool up to date. What I’m still desperately missing, is a color-code of the items in the market window. For easier fitting I have set the tool to show different colors for the high, medium and low slots. It would be perfect if the different items in the market window could be shown in the corresponding colors so it would be easier to see into which corresponding slot they are supposed to go. Friendly reminder that bug reports should really be submitted through GitHub. As you can see, I rarely monitor this thread due to lack of time. If you think there’s an issue, simply post it on GitHub and there’s a good chance I or someone else will at least respond with an initial reply. This is doublyh, triply important if you’re having issues which actually prevent you from using pyfa. I would always like to get those cleared up so that you can theorycraft away! Thank you all for your continued support of the project. I feel like there was a reason we didn’t do this way back when, but I’ll put a feeler out on GitHub to revisit this and see if it’s possible these days. I’m not seeing the issue for the implants, the affected by tag is properly showing the modification from the implants. Also, I should mention that my wife and I are expecting our first child any day now! Congratulations, man! That’s awesome news, and RL always (ALWAYS) should come first. Best wishes to you and your wife for a smooth delivery and a happy, heathy new arrival. NEED HELP ! ! For some reason I thought it would be a good idea to drag and drop all pyfa related folders into one main folder. 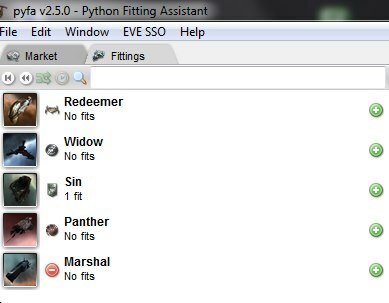 Now when loading Pyfa, my characters are missing and I don’t see any of the fits I had. Could someone let me know where the data should be so I can move the folders back and see my fits again?? I tried to download a nightly build (from here) but the link seems broken (or website is down). That used to point to my personal home server, which hasn’t been up in 3+ years… that wiki page needs to be updated.